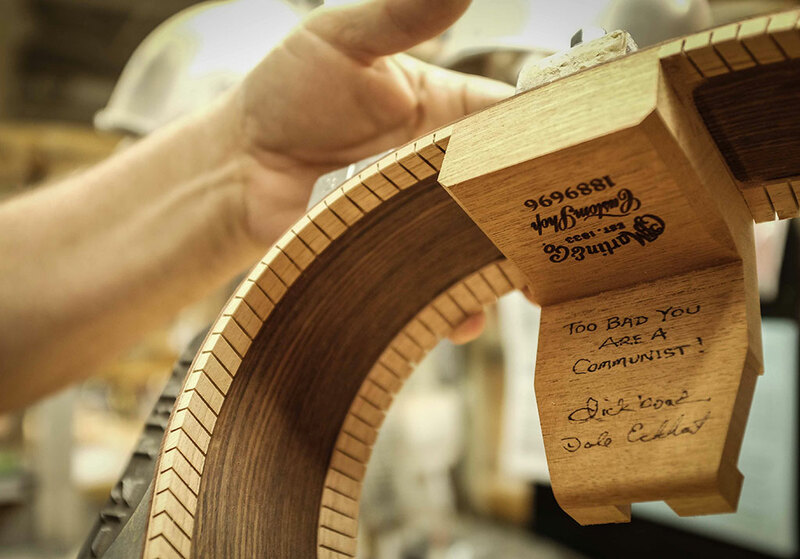 C.F Martin & Co. has been creating the finest instruments in the world since 1833. 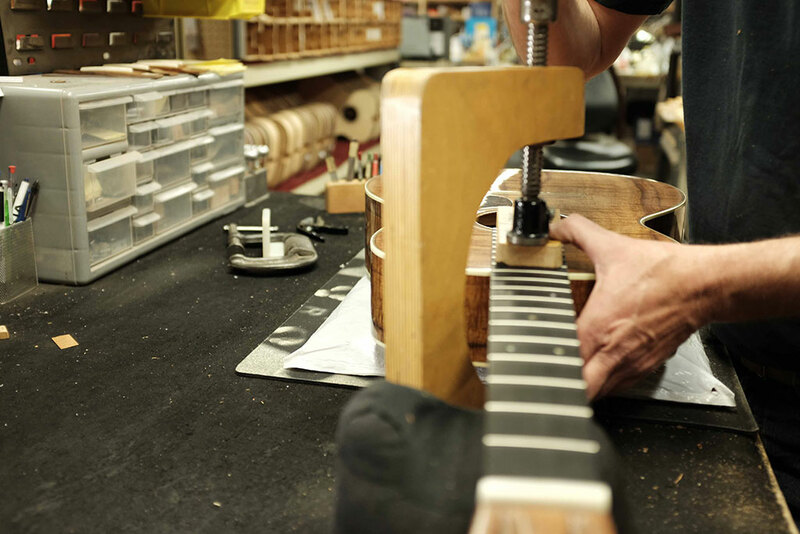 It continues to innovate, introducing techniques and features that have become industry standards including X-bracing, the 14-fret guitar and the “Dreadnought” size. 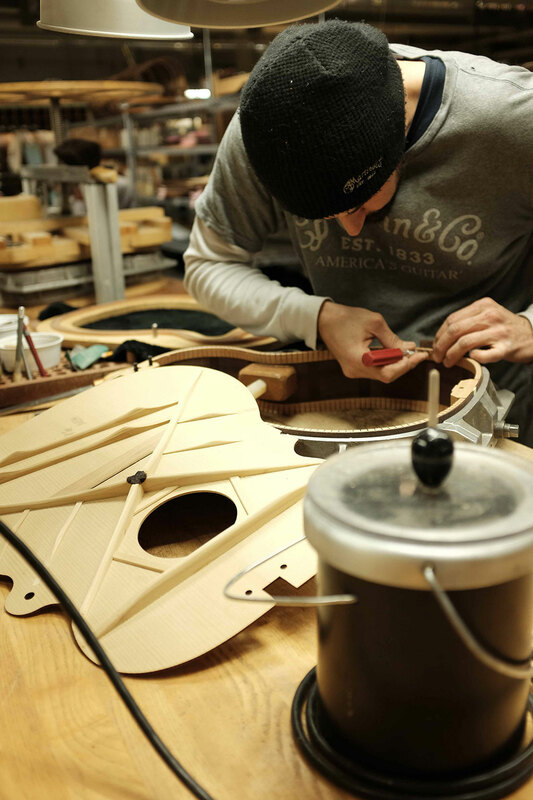 One of the world’s leading acoustic instrument makers, Martin guitars are hand-made by skilled craftsmen and women, who use a combination of new design and techniques along with those introduced by the company founder. 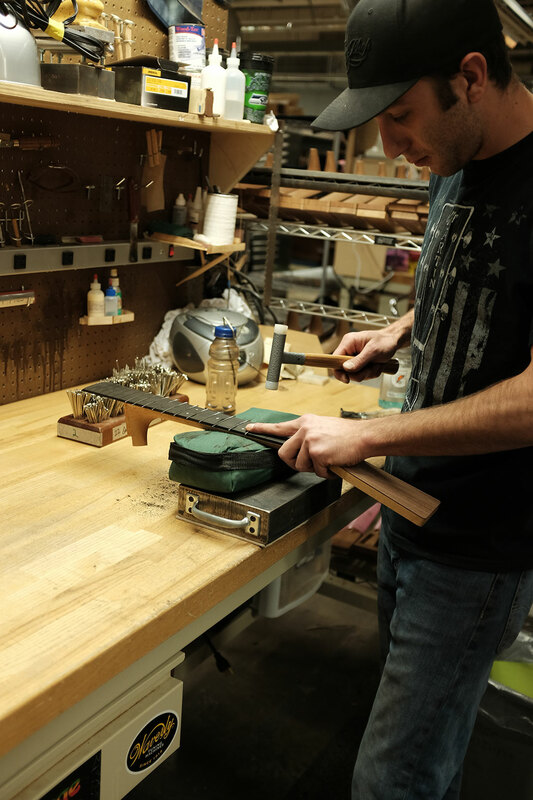 The company, founded by German immigrant Christian Frederick Martin Sr. in the U.S. has been continuously family owned and operated for six generations. 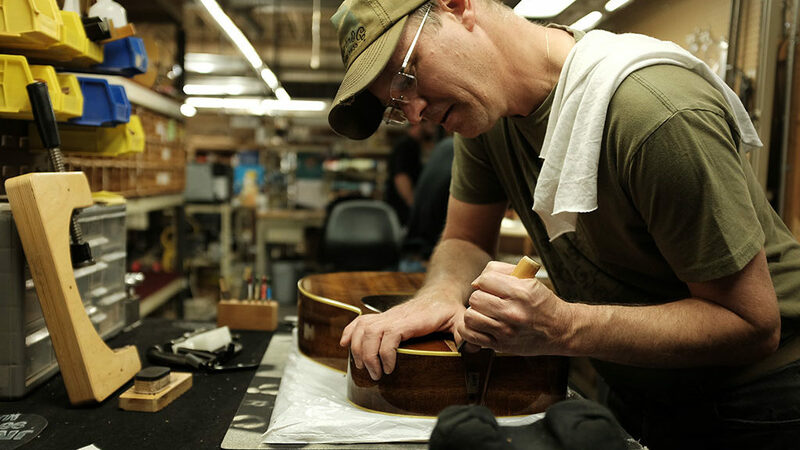 Embraced by artists all over the world, the Martin guitar has helped define virtually all genres of music, from classical and country to blues, folk and acoustic rock. C.F. 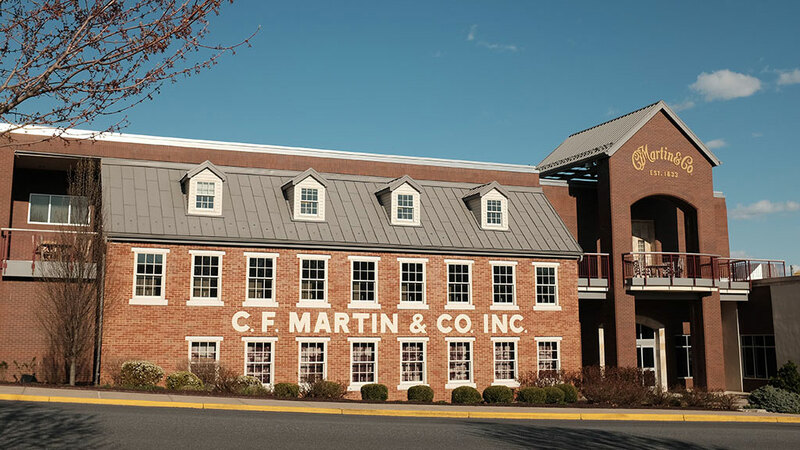 Martin & Company factory. Chris Adamcik adjusts the body. 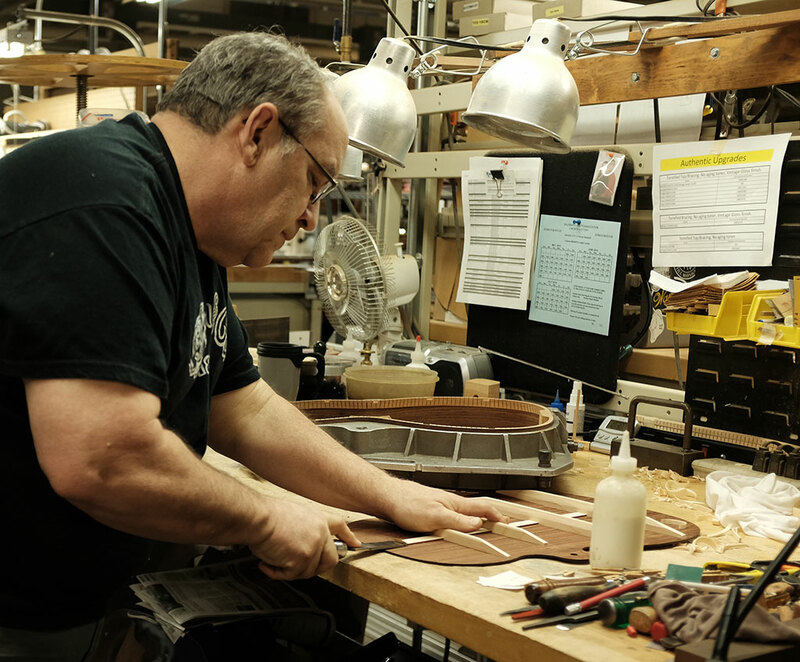 Stephen Kresge inserts the rosettes. 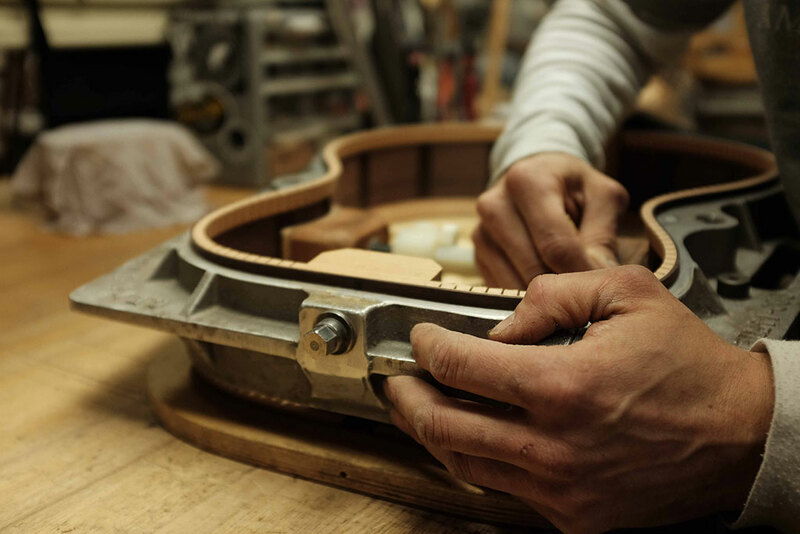 Bart Buschi hammers the frets into the fingerboard. 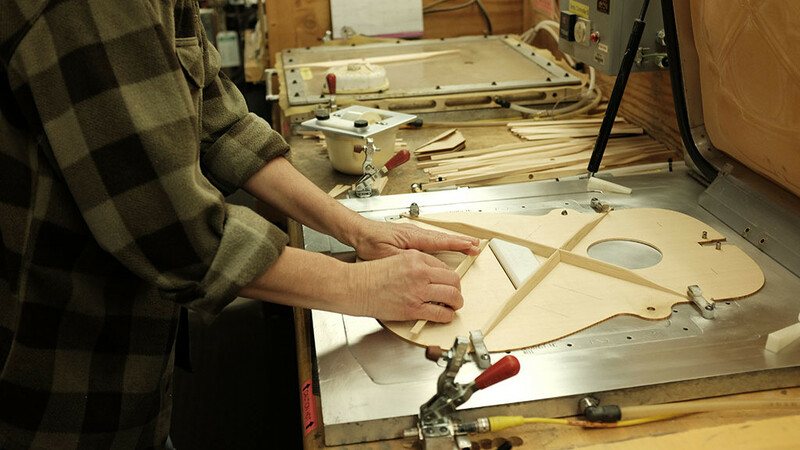 Anette Pemberton works on the X bracing. 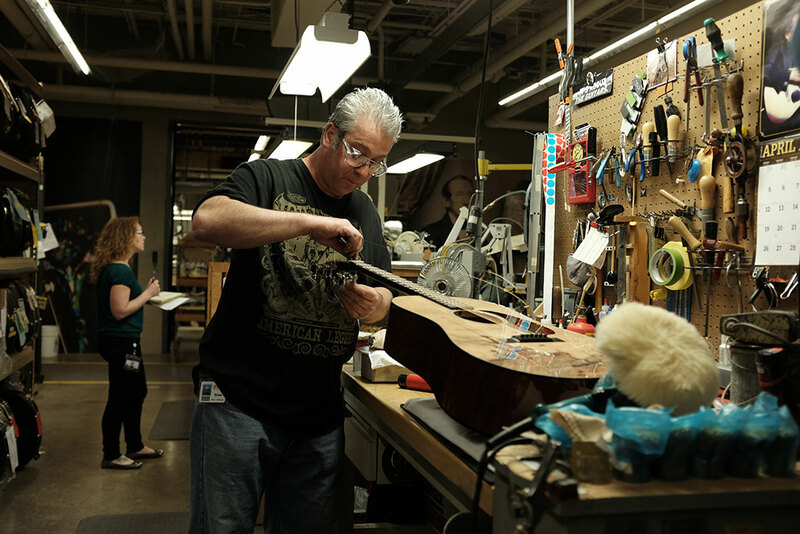 Martin 0-45 Joan Baez guitar. 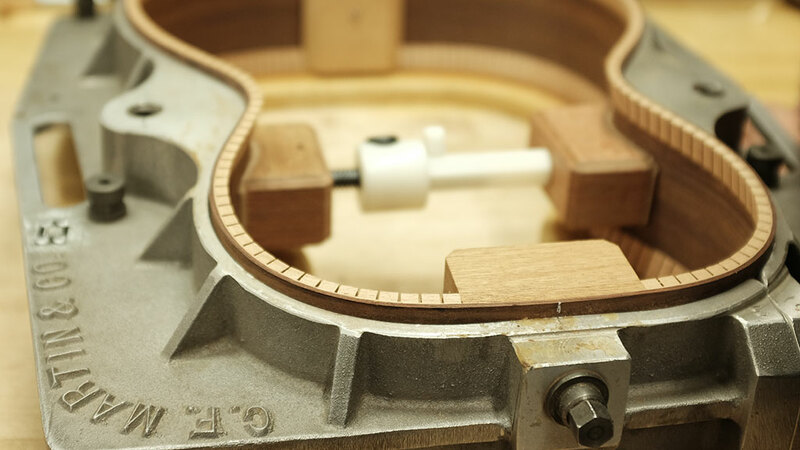 Clamping the neck to the body.